It may be time to pick a side when it comes to your favorite battle royale as PUBG Corp has reportedly filed a lawsuit against Fortnite creator, Epic Games, in Korea. According to the Korea Times, a PUBG official announced that an injunction was filed against Epic Games Korea in January and it will be down to the Seoul Central District Court to determine whether Fortnite “was copied” from PlayerUnknown’s Battlegrounds. It seems like the claim is specifically going against Epic Games in Korea, which could hamper the company’s plans to launch Fortnite in the country later this year. At the moment it’s not clear how and when proceedings will continue but we will update with news as and when it’s announced. 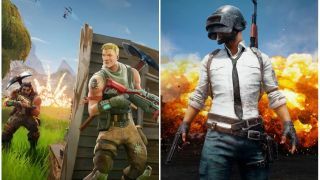 Fortnite vs PUBG: which is the game for you?